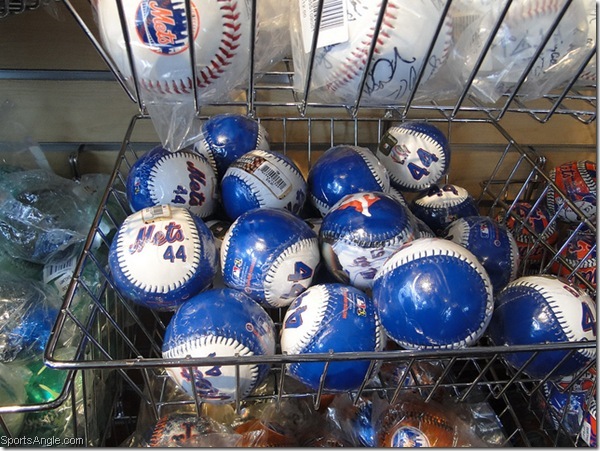 They seem to have specialty shops of every kind at the shopping mall surrounding the diamond at Citi Field. 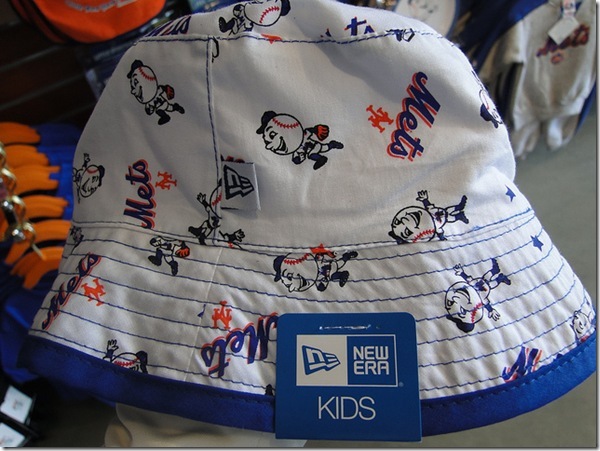 For example, IÃ¢â‚¬â„¢ll bet you never knew there was a Mets Kids Store at Citi. 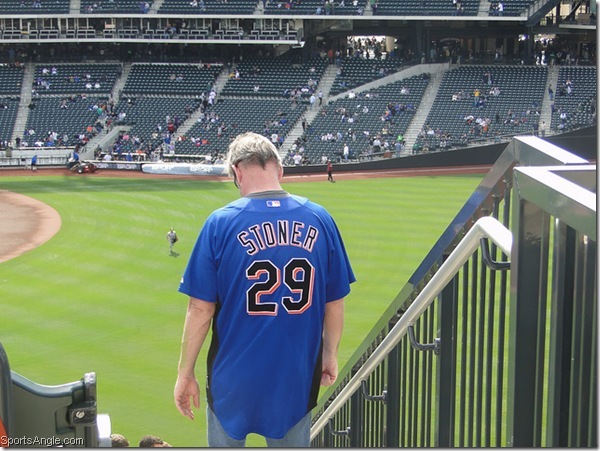 Or maybe you did, but I sure didnÃ¢â‚¬â„¢t — at least until my good friend Mike, a devoted Mets fan, had his first daughter three days before my first trip of the year to Citi Field. 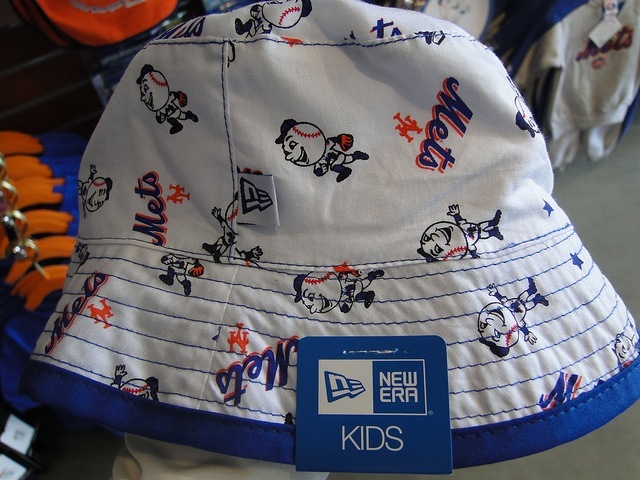 Having trekked to Citi for last ThursdayÃ¢â‚¬â„¢s doubleheader against the Rockies, I knew I had to get Madison something, and IÃ¢â‚¬â„¢m sure Mike wants some Mets stuff around the crib to ensure that she grows up as miserable a sports fan as we both are. I had in mind a plush Mr. Met. 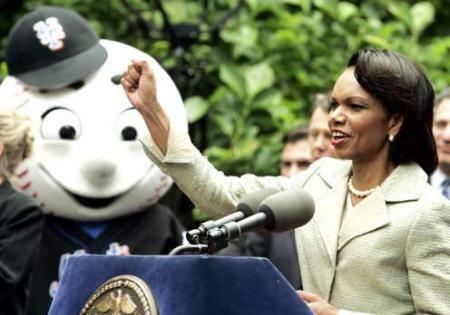 It seems like kids usually get along well with Mr. Met –and for that matter, IÃ¢â‚¬â„¢m a fan of any mascot whose head is an enormous grinning baseball with a hat on it. I once gave a presumably horrified Mr. Met a very sweaty hug at the finish line of a 5K race at Shea Stadium, and he was featured in one of my favorite photos ever. 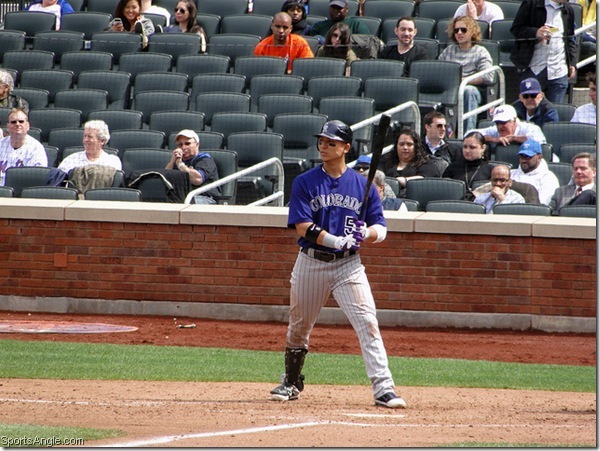 And Carlos Gonzalez promptly hit a two-run homer. Ã¢â‚¬Â¦followed by a massive shot by Troy Tulowitzki. 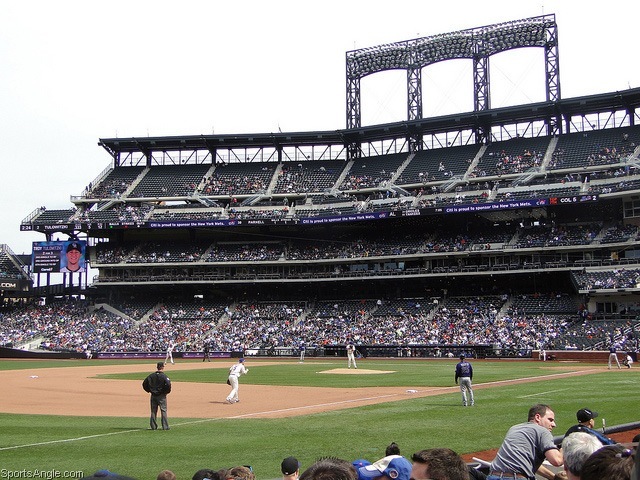 Hopefully, my first glimpses of baseball at Citi Field wonÃ¢â‚¬â„¢t serve as a horrible harbinger for the season, though things donÃ¢â‚¬â„¢t look good early. 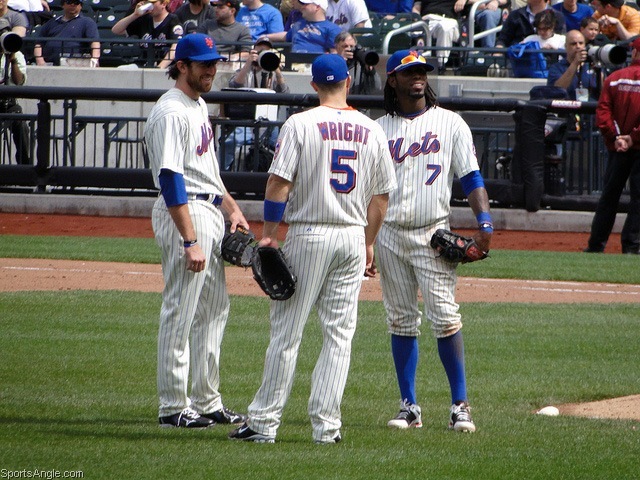 DonÃ¢â‚¬â„¢t be deceived by their dispositions following the unceremonious exit of R.A. Dickey — they were merely sunny to match the weather. 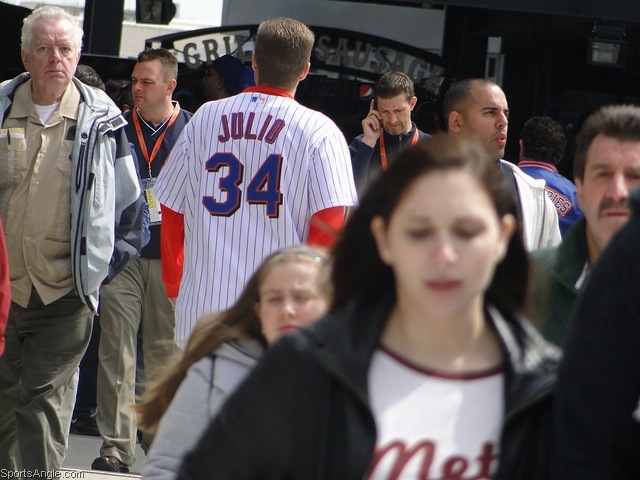 Some jerseys simply have to be game-worn or game-issued, because who in the world would make a Jorge Julio jersey to commemorate the 18 innings he pitched for the Mets, albeit with 33 strikeouts? Maybe he got a deal he couldnÃ¢â‚¬â„¢t pass up on one of the least significant Mets ever at the Team Store. But IÃ¢â‚¬â„¢d rather like to think that maybe this guy was just a huge Jorge Julio fan — perhaps he had him in fantasy in 2003, when he saved 36 games? 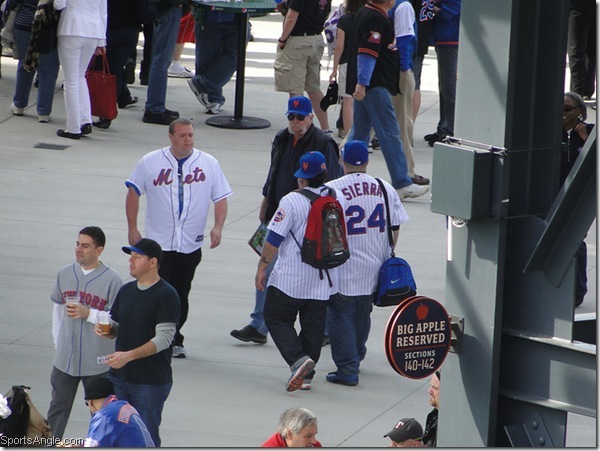 — and was so ecstatic when the Mets traded for him that he ran right out and customized the jersey. 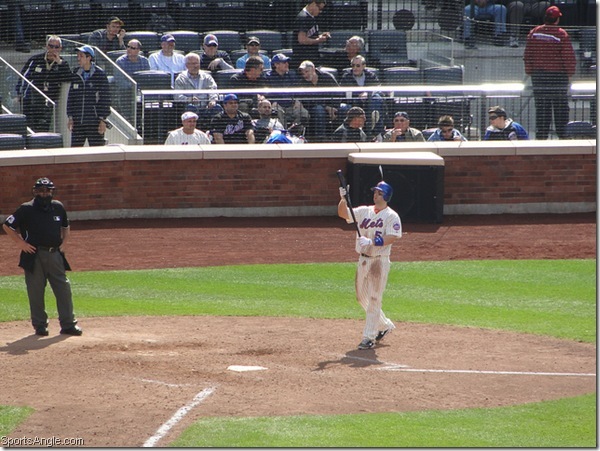 (Full disclosure: I basically did the same exact thing with Oliver Perez.) Or maybe this guy just hated Kris Benson so much that he made a pact to immediately get whatever guyÃ¢â‚¬â„¢s jersey they traded him for. 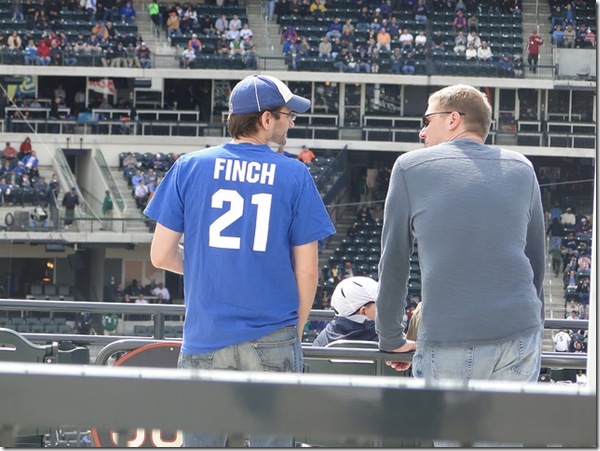 Whatever his story is, ironic or not, this is a stellar jersey. I had to check to make sure Ruben Sierra actually played for the Mets; I vaguely remember them signing him, but I didnÃ¢â‚¬â„¢t remember the specifics. It turns out he was signed to a Minor League deal back in Spring Training in 2007, but was released before the season began. IÃ¢â‚¬â„¢m not 100% sure this one was game-worn, either; the four on the back of the jersey looks a little wide compared to the Julio jersey. 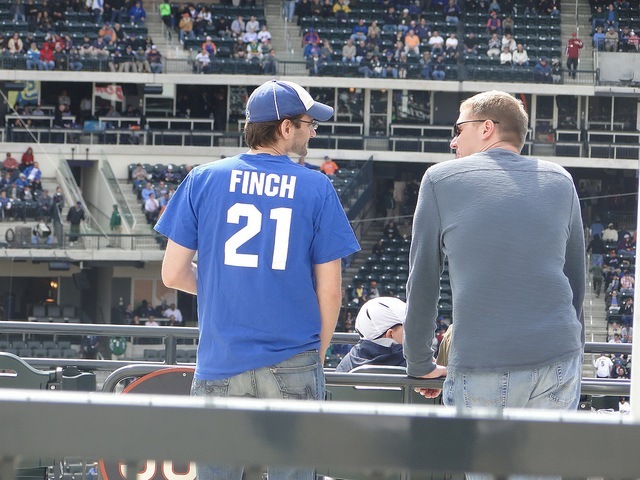 I figured this guy was either a big fan of Jennie Finch, or commemorating the greatest Met that never was, Sidd Finch. About 20 seconds of research on Google revealed that the legendary Sidd Finch was indeed No. 21. 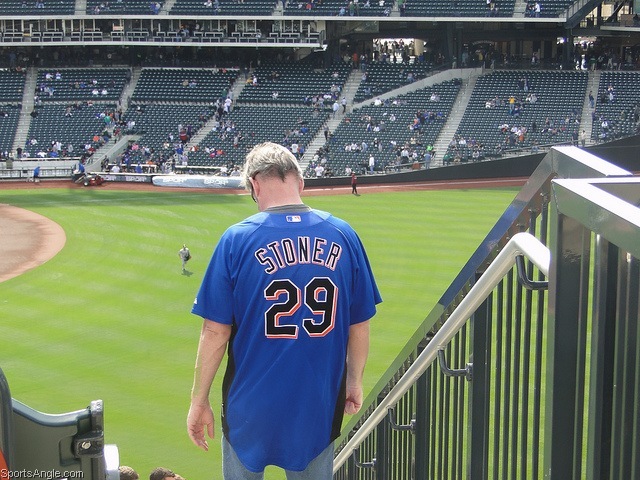 This older gentleman proudly sported his Tobi Stoner game-used BP jersey to this game, and probably also to Grateful Dead revival shows. 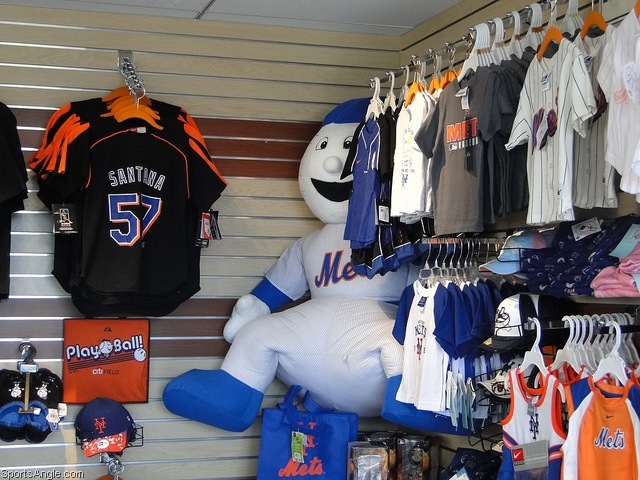 Finally arriving at the Mets Kids Store, I backed off my plan of getting Madison a plush Mr. Met when I saw this enormous creature lurking in a corner, peering out at the customers. 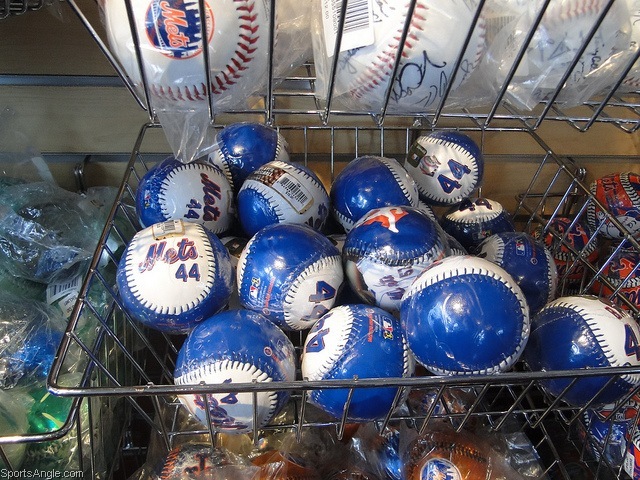 The smaller plush Mr. Mets were similarly grim — I think they really should have considered giving them teeth, like the real Mr. Met — so I decided to buy some other nonsense. The store was pretty incredible. They just slap a Mets logo on anything they think has a chance to sell, even if it has nothing to do with baseball or real life. For example, they were selling plush slices of pizza with smiling faces and Mets logos on them. 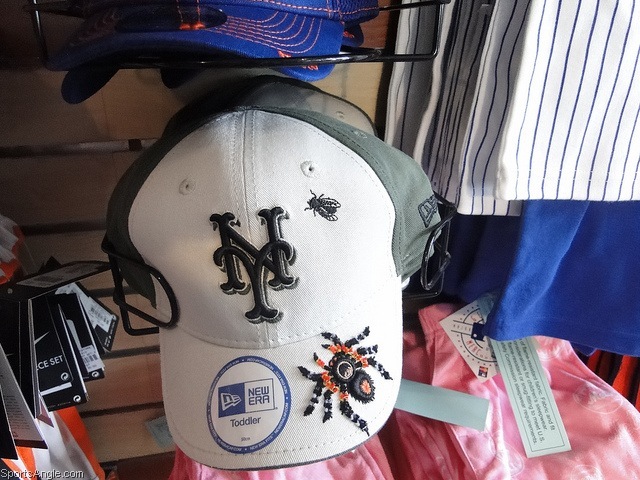 This hat — with a huge spider and a fly on it — would not possibly be worn by any Toddler in America. IÃ¢â‚¬â„¢m not even sure IÃ¢â‚¬â„¢d wear it, and I own this movie. 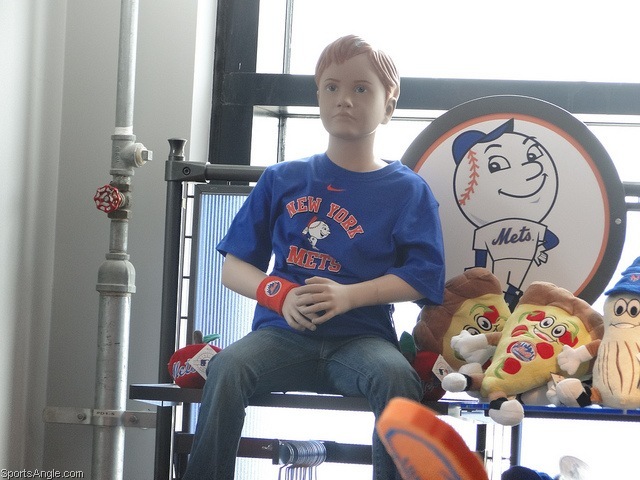 We spotted this spookily realistic kid mannequin sitting on a shelf above the cash register, surrounded by some of the aforementioned Mets pizzas. Combine this outcast from Village of the Damned with that creepy Mr. Met in the corner, and I canÃ¢â‚¬â„¢t see any kid staying in the store more than about 90 seconds. 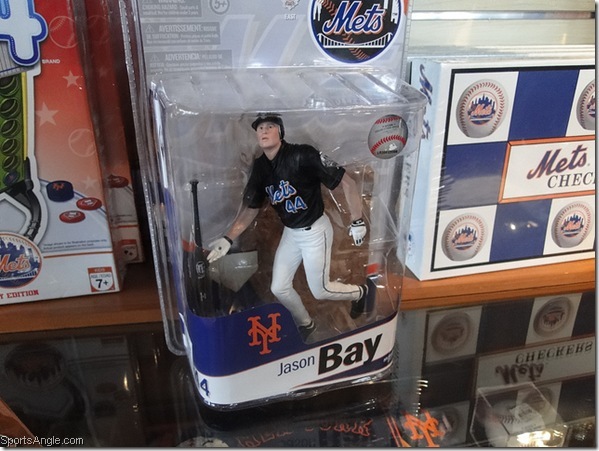 They apparently make a MacFarlane figure for Jason Bay which looks pretty much nothing like him. 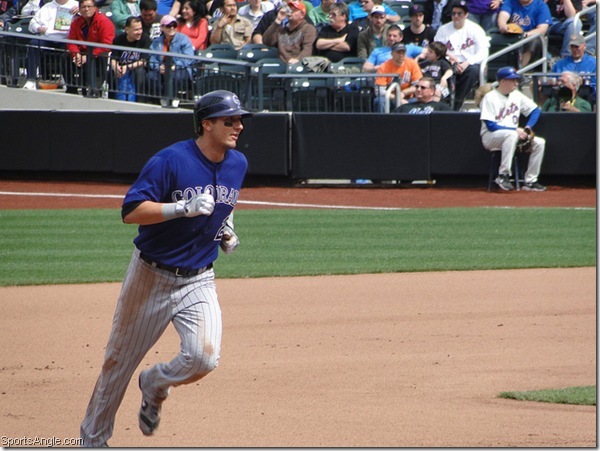 IÃ¢â‚¬â„¢d repeat DanÃ¢â‚¬â„¢s joke about not recognizing him because heÃ¢â‚¬â„¢s doing a home run trot, but IÃ¢â‚¬â„¢m totally above that. 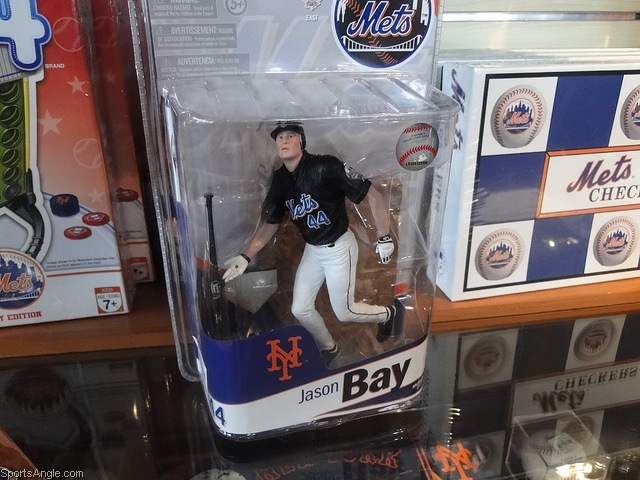 Sticking with that theme, I think the Mets assumed Jason Bay would have played already this season, and that heÃ¢â‚¬â„¢d be a lot more popular than he actually is. With DanÃ¢â‚¬â„¢s recommendation, I finally settled on this little sun hat for Madison. 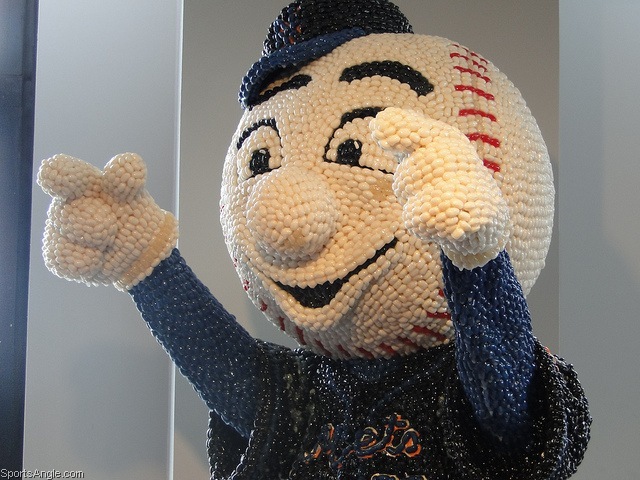 It was the best of all worlds — it had the cute version of Mr. Met on it in lieu of the creepy version, and it wasnÃ¢â‚¬â„¢t too small that she would outgrow it in like an hour. We got up to the Pepsi Porch just in time to see a Mets rally capped by David Wright hitting a potential game-winner that would have been out of any stadium — except this one. ThereÃ¢â‚¬â„¢s no need to discuss the second game. One of my main criticisms of Citi Field when it opened was that it had the feel of a Mall of America, with a baseball game happening to be played at the center of it. This was a distinct difference from Shea Stadium, which while admittedly being a dump, was a great place to watch baseball. This was especially true since if you took your eyes off the field, you sort of felt like you might see a rat or something. That said, for a guy who had to get one specific thing — a gift for his friendÃ¢â‚¬â„¢s kid — itÃ¢â‚¬â„¢s nice that they had a store directly dedicated to that. 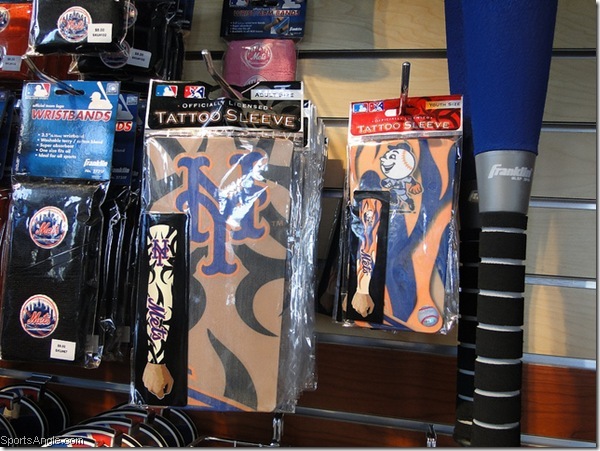 In fact, it seems they have all sorts of specialty stores, including a baseball card shop (who knew those still existed in any form?) — and a store dedicated to Alyssa Milano, where IÃ¢â‚¬â„¢d hope they sell this classic film. This article is sooo entertaining…Madison made it to Sportsangle.com! ole! Your virtual tour of the store is fascinating…and yes, your bonnet has to be the coolest she will ever own, even after she outgrows the crib and the stuff “around the crib”. clothing like one other woman and grow to be the focus of many people, you’ll be able to have other ways fully.